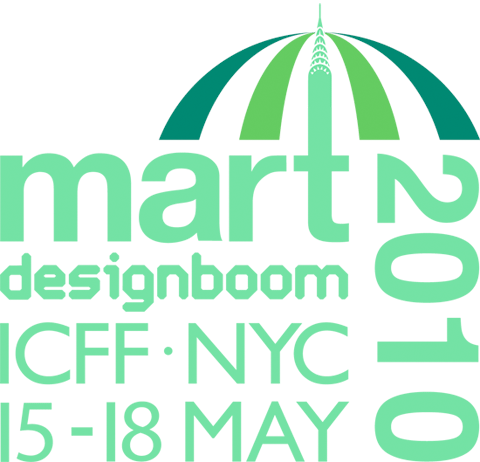 Short notice but great notice: after the great event in Tokyo, Rheintöchter has once more been invited to participate at the designboom mart – this time in New York, as part of the cultural program of the ICFF furniture fair from may 15th to 18th. Excited and busy with preparations, hope to see you there! Konichiwa! A mindblowing city, great food, some lost in translation moments, amazing people from around the world and a successful exhibition at the designboom mart. 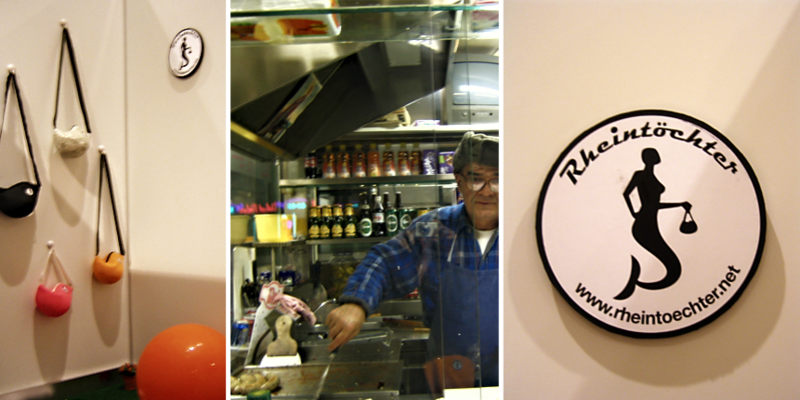 Rheintöchter now also sells in a new shop in Tokyo (check out the stores section for details). I’ll be back. Rheintöchter is proud to announce the invitation to the designboom mart at the 100% design in Tokyo, starting october 30th at the show venue in jingu gaien. I am incredibly excited. Anyone in Tokyo during that time, come visit me at the mart! Finally! After years of procrastinating and other important stuff keeping me busy, I have built a new website. 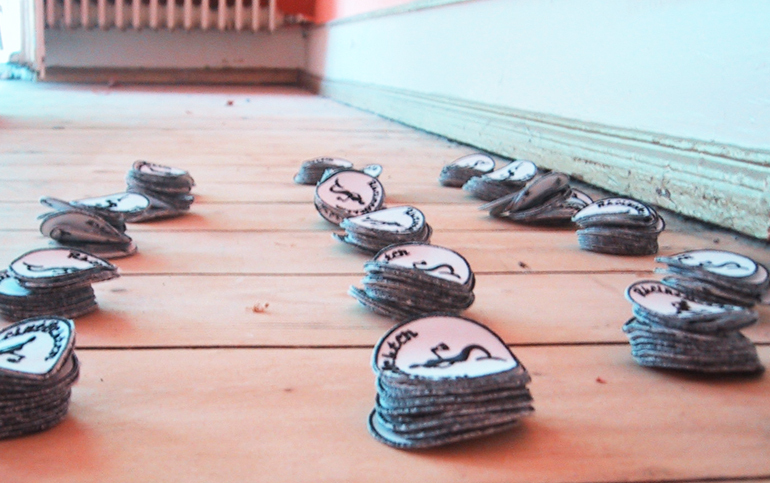 Now sporting a slick new webshop with paypal, language selection, and this dinky little blog. If you don’t have paypal, orders can still be placed through email and payed for via regular bank transfer, now quick and easy through the new email form. As always – these things happen with a little help from my friends. Thank you very much Georg and Martin. As the Rheintöchter headquarters moved to Barcelona for a masters degree between 2006 and 2008, I took advantage of my beautiful sports club on the ramblas and my beautfiul classmate Adriana from ELISAVA. In cooperation with the amazing photographer Carlota Sousa Costas, we took some lovely pictures of the bags in their natural habitat. Thanks everybody so much for your support! Music and Design – always a lovely mixture. At the c/o pop 2007 in Cologne, Rheintöchter was present at the designmart held at the festival headquarters. Amazing concerts, great products – all you need for a great festival. Blickfang 2005 in Vienna. Sold a lot of bags, met a lot of interesting people and rewarded myself with käskrainers after long days at the MAK. Thanks to Clemens for the indigenous austrian housing and to Rainer for helping out at the booth. Look at us, we formed a brand! Short after the start of the idea, I had to realize that I was not the most talented needlewoman in the world, and that it was quite a challenge to find the right zippers or bathing caps. With the help of my friend Alex Knigge, we found a small manufacture to help with this, to sew rubber and latex and add a cosy lining to the bags. Further research led us to providers for customised high quality zippers, logo patches and a large selection of old school bathing caps (yes, there are companies that still produce them!). A design patent and a website were the final steps. To say it with the words of Art Brut: Look at us, we formed a brand! 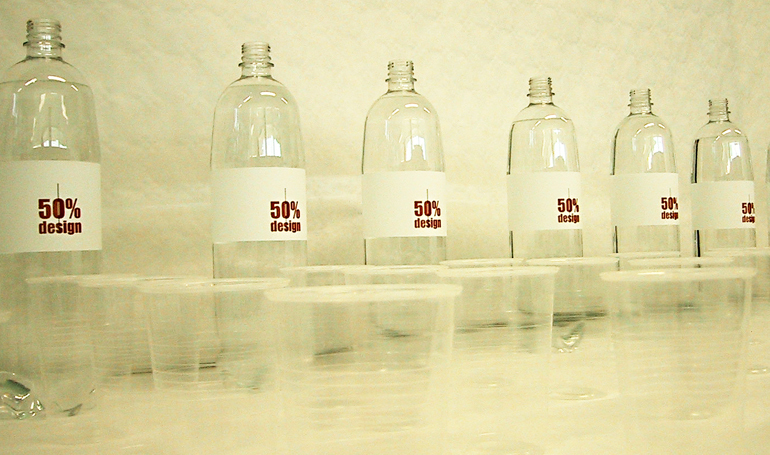 In the early summer of 2003, as part of my studies at the köln international school of design, I participated in a short term project called 50% design. The topic was to find an industrially produced low-key product and turn it into something worthy – by leveraging the innate features and changing or adding whatever we thought was neccesary. The project was lead by Prof. Günter Horntrich, professor for ecodesign at the school. 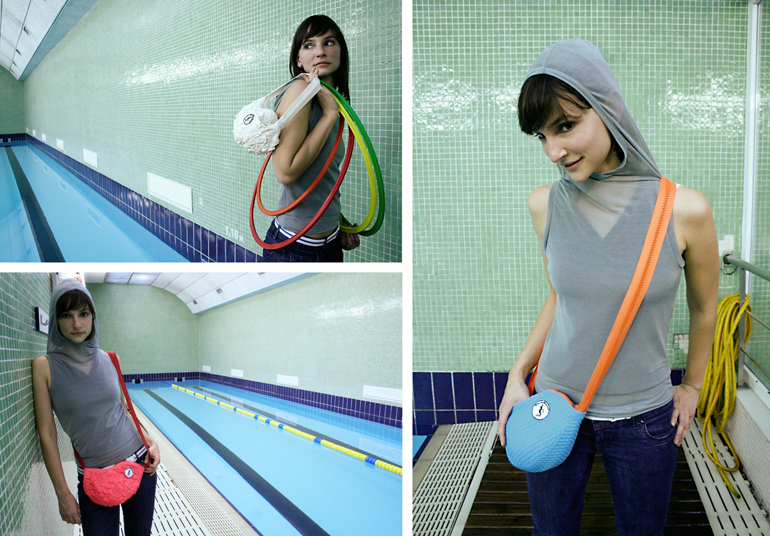 The Rheintöchter bags were part of a collection of bags I made from simple plastic structures, such as a VHS case, frisbees, an air mattress... and bathing caps. 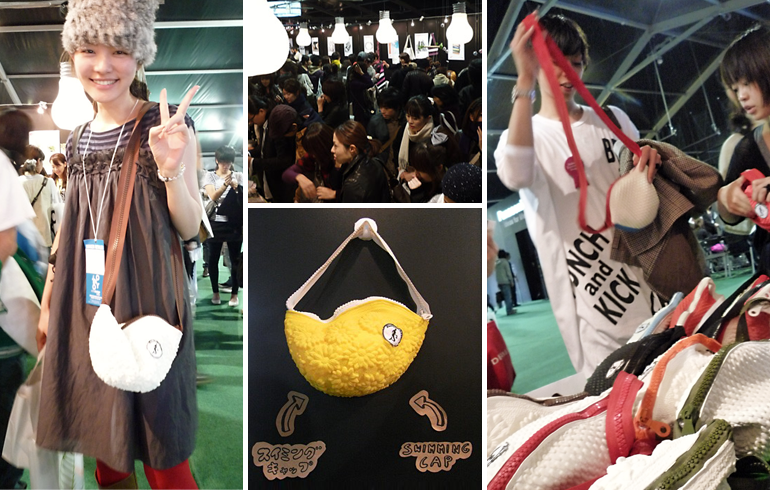 The success of the presentation and the fact that i had orders placed for the bathing cap bags that very day made me set up a little sewing studio at home and hope to be able to earn some money through my own designs for the first time.